Problems with your spindles can quickly set you back. A worn or damaged spindle can shut a line down and cause big headaches on your shop floor or in your tool room. If you have Setco spindles that need service or repair, our team here at Colonial Tool Group is your solution. We have nearly 100 years of experience as a leading tooling manufacturer and repair company and have highly trained technicians with experience with top spindle brands like Setco. When your spindles are not performing properly or have worn or damaged bearings, you need them back in service quickly. You invest a lot of money in quality tools, so don't trust their maintenance or rebuild to just any company. Instead, turn to Colonial Tool group — a trusted market leader with an unbeatable reputation. We're proud of our customer service, attention to detail and value-added services that allow you to get many more reliable hours out of your spindles. Taking the time to understand what is wrong with your spindles is what sets us apart from the competition. We don't dive in head-first, pulling apart your broken spindles and repairing them blindly. We try to understand what has gone wrong so we can make the most cost-effective choices for rebuilding and help you determine if misuse or incorrect operation of your spindles was to blame for the problems. 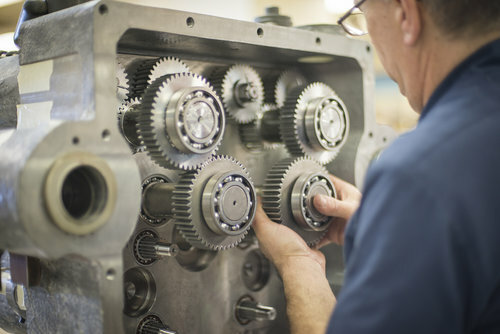 This methodical approach helps us understand the advanced engineering that goes into every spindle Setco makes and allows us to perform a thorough rebuild that you won't find elsewhere. Our technicians work quickly to get your spindles back into your hands so you don't have to suffer lengthy unplanned downtime. We know that a machine or lathe that isn't running isn't making you money, so you can count on us to get the job done quickly and reliably. We also know that once your spindles are back in your shop, you can't afford a failure or breakdown due to a rebuild error, so we always verify our work and thoroughly test your spindles once repaired. It only takes a moment to fill in our online quote form and obtain a free quote. Supply us with as much information as you have and we will reach out to you with any other questions. Our goal is to be transparent as we analyze and repair your spindles and will always contact you before making additional repairs. Come and discover how Colonial Tool Group continues to grow as a leader in Setco spindle rebuilding today.